Since we became restaurateurs, Deo and I are extra conscious about the type of oils that we use - whether for the business or for our personal use. Though some cooking oils put your cardiovascular health at risk, others provide essential good fats that our bodies need. So why do you need to switch to Golden Fiesta Canola Oil? 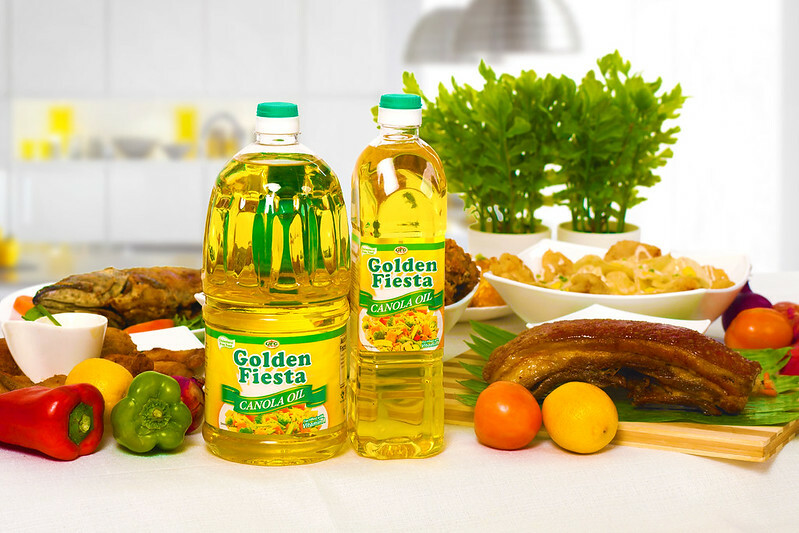 Golden Fiesta Canola Oil is a rich source of phytosterols. Scientific studies and trials show that consumption of 2 grams of phytosterols per day may diminish the risk of coronary heart disease, which is one of the leading causes of death worldwide. When you go to the supermarket, choose the cooking oil that's best for your heart - the NutriAsia Golden Fiesta Canola Oil!